Maximize fan use. Ceiling fans are ideal for cooling off during the hot summer months without running your air conditioning into the ground. Just remember to make sure that the blades are turning in the correct direction. Many fans have switches to reverse the direction of the blades, but some do not. In the summer, you want the blades to move in a counterclockwise direction so that it blows air straight down to you. If your fan is running clockwise in the summer, turn it off, wait for the blades to stop, and look for a switch on the main fan body side. Flip the switch, turn on the fan, and the blades should be running in the right direction. It’s in the wintertime that you want the blades to turn the other way – clockwise. Also, if you don’t have a ceiling fan, look into tall, floor fans that maximize air flow without taking up too much space. Consider your curtains. Curtains block a lot more than just sunlight. In fact, they also block a surprising amount of heat. Just as you would suspect, the thicker and heavier the material, the more heat will be kept out of your home. Many blogs have said that for “style’s sake” you should ditch the heavy curtains in the summer and trade them for nice light, airy ones. However, the dark, thick curtains will block heat from entering and cool air in your home from escaping. If you can’t stand the gloom that having heavy, dark curtains drawn creates, you can draw the curtains on only west- and south-facing windows to make a big difference in the temperature of your apartment. Put houseplants to good use. Plants not only bring greenery into your home, they help keep it cool, too! If you just cannot bring yourself to use dark curtains, not all hope is lost. 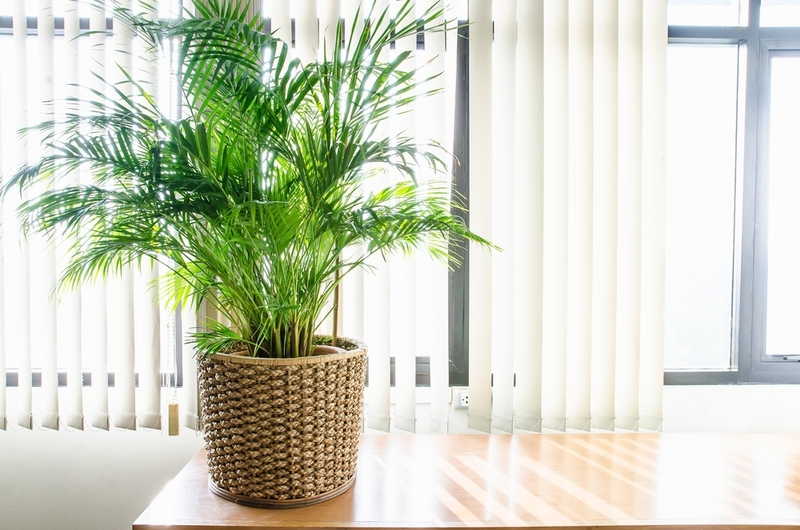 Many people recommend getting a few large house plants instead and placing them in front of windows and sliding patio doors; while the plants absorb the sunlight to grow, they will also block a lot of the heat coming in without turning your apartment into a darkened cave. Close doors and partitions that don’t need to be open. Every little bit of space counts when you live in an apartment, and the same holds true when it comes to saving money on air conditioning. Close closet doors and shower curtains – you don’t want to waste good, cool air cooling off those areas. In addition, close the vents in any rooms that are not in use, and close those doors; you don’t need to keep rooms cool that you don’t use. Doing this can dramatically improve your energy usage and lower your bills. Avoid using your oven when possible. Turning on a 400 degree-oven even just for 30 minutes can quickly make the temperature in your home skyrocket and stay elevated for many hours. This is even more true when you live in a smaller apartment or one that is on an upper floor. Whether you head to your neighborhood grilling area, order takeout, or just settle for a sandwich and fruit salad, avoid turning on your oven during hot weather. There are many other tips for lowering your electricity bill, like turning off electronic devices when not in use, taking baths and showers at night, running your dishwasher at night, and using a power strip so you can push a button to quickly and easily shut power down on multiple items at once. Apartment dwellers don’t have to suffer through the hot summer months with high energy bills when they are proactive and take steps to reduce their energy usage! For more apartment lifestyle tips, check out the rest of our blog posts! If you have any questions, feel free to contact us.